MWI provides real estate and construction mediation services for private and court-referred cases from the Massachusetts Land Court. MWI has the distinction of being an approved provider by the Chief Justice of the Massachusetts Land Court Department to provide ADR services. 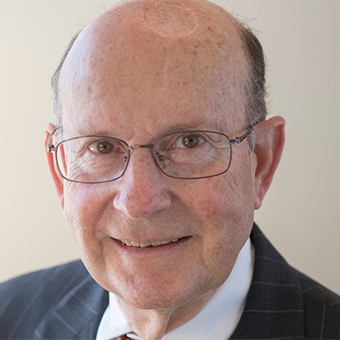 Joel M. Reck is an arbitrator and mediator with MWI and is a retired partner from Brown Rudnick LLP and is the former Chair of its Real Estate Department. His practice consisted of structuring, managing and closing sophisticated commercial real estate transactions throughout the United States. Currently, Mr. Reck conducts a varied mediation and arbitration practice, principally involving real estate and commercial disputes, but also involving personal injury and professional malpractice matters. 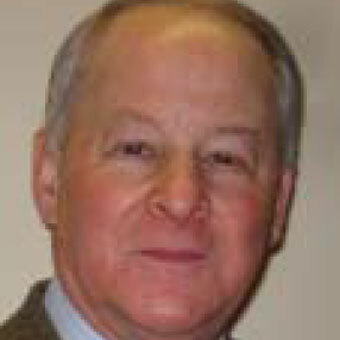 He also serves as an expert witness in cases involving transactional practice standards and real estate legal issues. Abutter disputes regarding property lines, easements and use. Rosemary Macero is an Arbitrator and Mediator on MWI’s Real Estate and Construction Panel. Ms. Macero’s 34 years of legal experience have provided her with the foundation to adequately mediate and arbitrate cases that include land use, construction, and real estate matters. She currently is an arbitrator for the Better Business Bureau and volunteers as a mediator for MWI and the Lowell District Court. Ms. Macero is licensed to practice law in Massachusetts, New York, New Hampshire, Vermont and Rhode Island. She has been published three times in Condo Media Magazine and is a member of the American Bar Association as well as the Massachusetts Bar Association. She is a former adjunct faculty member at four Massachusetts institutions and speaks fluent Spanish. Howard Gorney combines over forty years as a commercial attorney with his mediation and arbitration skills to assist parties in reaching resolution of land use, real estate, franchise, and construction disputes. He has mediated over 150 commercial matters since becoming a mediator in 2006. In addition, Mr. Gorney’s mediation and arbitration experience ranges from resolution of complex business issues to matters involving construction, general real estate disputes, franchise and bankruptcy in amounts extending into multi-millions of dollars. He has served on the MWI mediation and arbitration panels for the resolution of franchise contract disputes, including several for General Motors LLC and BMW of North America. Mr. Gorney has arbitrated over 40 construction cases for the Commonwealth of Massachusetts and presently serves as an arbitrator for FINRA, the regulatory arm of the financial services industry pertaining to allegations of broker misconduct. Drawing upon his vast experience as a commercial and bankruptcy attorney, he also mediates cases involving complex Chapter 11 cases in both the New York and Delaware bankruptcy courts, as well as the recently-formed mediation program in the Massachusetts bankruptcy court, which Mr. Gorney helped to formulate. A lecturer and author of many articles on bankruptcy, commercial law and franchising, Mr. Gorney received a Bachelor’s Degree from the U. of Vermont, a Master’s Degree from U. of Pennsylvania and a J.D. from Suffolk U. Law School, MA. He is admitted to the Bar in Massachusetts; U.S. District Court (District of MA); United States Court of Appeals, First Circuit, and The United States Supreme Court. Mediator, General Motors Dealer/Factory Disputes involving, among other issues SFE, bonus disputes, sale for resale and franchise termination. Arbitrator, Construction Disputes, Commonwealth of Massachusetts, Office of Consumer Affairs and Business Regulation. Disputes include allegations of faulty construction, change orders and overcharges. Arbitrator, FINRA (formerly known as NASD), disputes include allegations of broker misconduct, churning of accounts and unauthorized investment. Jack Wofford, a long-time member of MWI’s mediation and arbitration panels, has broad experience in arbitration, mediation, facilitation, consensus-building and other forms of dispute resolution in a wide range of areas, including commercial, employment, environment, family-owned and other closely held business, insurance, organizations, personal injury, public policy, and complex development, real estate, construction and transportation projects. In 1999, President Clinton appointed Jack to a seat on the Federal Service Impasses Panel, which resolves disputes in negotiations between the Federal Government and its unionized employees. His experience as a mediator in construction and real estate matters includes disputes among landlords and tenants, co-tenants, owners, developers, lenders, partners, contractors, architects and engineers, subcontractors, condominium associations, government agencies and insurance carriers, including professional, title and liability insurers and bonding companies. Issues have included renovations and new construction, from single-family homes (condominiums and detached) to subdivisions, shopping centers, multi-family, office, university and major public infrastructure construction projects. 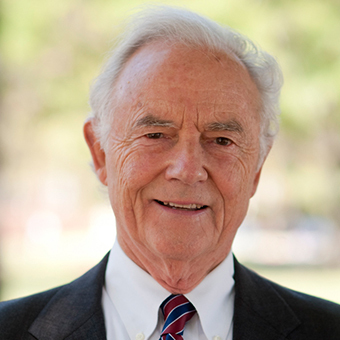 A lawyer, Jack has done solely neutral work since 1987. In the 1970’s, Jack served in both state and federal government in transportation positions, including director of long-range transportation planning for the Boston area, Associate Commissioner of the Massachusetts Department of Public works, and Deputy General Counsel of the US Department of Transportation. As an attorney in the real estate area (until 1986), Jack represented a variety of perspectives, including developers, builders, owners, partners, landlords, tenants, architects, lenders, and public funding sources. He has drafted and negotiated the full range of documents, including development agreements, loan documents, leases, ground leases, eminent domain findings, construction and management contracts. Projects included: renovation of Commonwealth Pier into Boston’s World Trade Center (for Massachusetts Port Authority); redevelopment of the East Cambridge riverfront (for City of Cambridge); development of research and office space on 24-acre site (for MIT); affordable housing project at Copley Square, Boston (for neighborhood corporation); redevelopment of historic mill in Vermont into market rate residential and commercial space (for private developer). Jack has conducted trainings in conflict management, consensus building, mediation and negotiation for the Dispute Resolution Section of the American Bar Association, US Department of Justice, Massachusetts Office of Dispute Resolution, New England chapter of the Association for Conflict Resolution, Boston and Massachusetts Bar Associations, Family Firm Institute, and a number of corporations, universities and groups. MWI’s experienced mediators are available to assist you in resolving real estate and construction cases. While many cases are referred from the Massachusetts Land Court, MWI also provides services and receives referrals from attorneys, architects, and those involved with construction projects with multiple parties and stakeholders. Additionally, MWI offers a free Screening Conference where people come to MWI to learn more about participating in real estate mediation. MWI provides experienced and effective mediators with expertise in: Real Estate, Breach of Contract, Adverse Possession, Disruption/Impact, Equitable Adjustment, Boundaries, Constructive Acceleration, Delay, Homeowner / Contractor, Condo Associations, Environmental Disputes, Easements, Titles, Zoning Variances, Jointly Owned Property, Design and Construction, Petition for Partitions, and more. Contact Josh Hoch at jhoch@mwi.org or 617-895-4028 for a no-fee consultation to learn more about MWI’s Real Estate & Construction Mediation Services.